We coach you along the whole process of setting up an M&E system from developing results and indicators, to collecting data and finding the right IT tool to manage them. introducing the results model and results monitoring standards of Deutsche Gesellschaft für Internationale Zusammenarbeit (GIZ). "The results-focused and competent staff from energypedia consult GmbH and their experience in the context of development policy were and are key success factors for the great success of our WebMo." 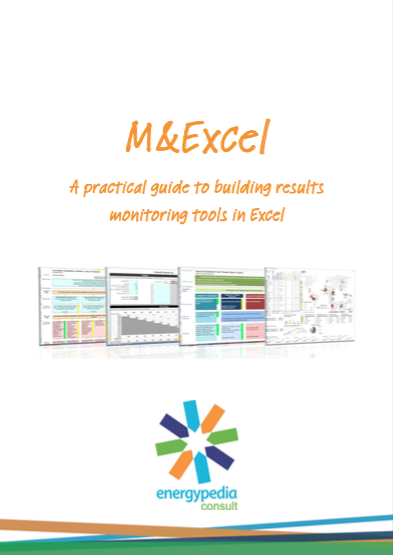 Next to results-based monitoring and collaboration tools like WebMo, we also offer tailor-made Excel tools and Excel trainings. When designing Excel tools, we are guided by two imperatives: Make them useful and make them simple. Together with the customer we find out what data are available and how to structure and display them in a way to maximize usability. If the requirements change after some time, we are always available to make the necessary adjustments. Our tools grow with the projects. At the heart of our tools is the Management Cockpit (see impression below), also called dashboard, summarizing at a glance key figures and developments to quickly inform decision-making. we always leave a comprehensive manual. This way we want to make transparent how everything works and enable the users to implement adaptations themselves. Don't hesitate to contact us if you have any questions or need assistance developing your own tool! A technical integration with WebMo and direct data transfer is possible as well. This allows you to directly feed your indicators with the latest survey data. Please contact us for details! Melanie joined energypedia consult in 2013 and is now Country Director of our Rwanda office in Kigali, Rwanda, where she heads the "One-stop-monitoring shop Rwanda". Her job combines what she finds to be one of the most important topics in the development sector – M&E – with the opportunities to apply her IT skills and to conduct trainings and workshops in an international environment. 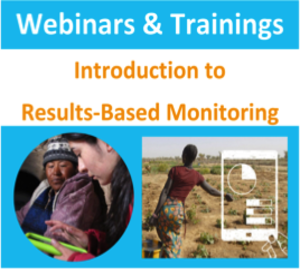 While completing her Master's degree in Public Policy and Human Development (University of Maastricht, the Netherlands) and working in the consultancy business, she has come to realize that sound M&E systems are key to the effectiveness of aid programmes and their accountability towards donors and beneficiaries.